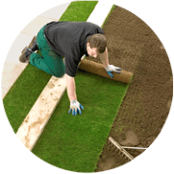 What makes our lawn turfing so special? 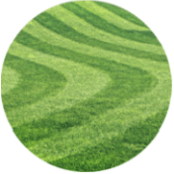 At Handy Gardeners we know that having a pristine lawn can make even the simplest garden design look stunning, and we aim to help make that a reality for everyone in London. Add to this the fact that we offer the most budget-friendly lawn laying service in the local area, and it's no wonder that our customers love us, and often recommend us to their friends and family. 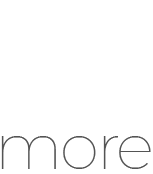 If you'd like to find our more information, just call our team on 020 3744 0111 today. Whether you know what you need, or would like the chance to discuss your requirements with our team of garden design experts, we are here to help. 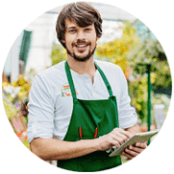 All it takes is one phone call to 020 3744 0111 where our friendly and helpful booking team will take the time to learn all about you and your garden. They will then book you an appointment for one of our landscaping team to visit your property, and assess the work required and provide you with a free, no-obligation quote for you to consider. Then it's up to you to decide when you'd like us to get started. 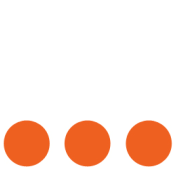 You can easily access our services by getting touch and letting us know what you need. If you have a project in mind, you can find out quickly and easily what our landscapers are able to help with by calling 020 3744 0111. Our initial viewing and valuation are completely free, so there is no risk in calling us in for a quote.